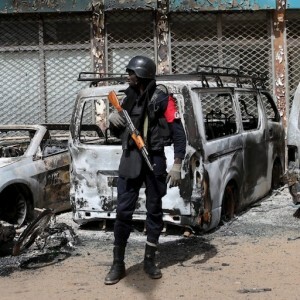 Since the beginning of 2018, security incidents linked to violent extremism have erupted in the Est Region of Burkina Faso. This has raised concerns about the risk of an expansion of the threat to neighbouring countries. The Est Region borders four countries – Niger, Benin, Togo and Ghana, effectively linking the Sahel to West Africa's coastal states. The use of improvised explosive devices in attacks targeting security and defence forces, schools and local or traditional authorities, indicate the likely involvement of violent extremist groups such as the Islamic State in the Great Sahara and Ansarul Islam, which are active in the Sahel region. This public roundtable was jointly organised by Benin’s Agency for the Integrated Management of Border Spaces (ABeGIEF) and the Institute for Security Studies. It followed a national workshop for the sharing experiences and analysis on preventing and countering violent extremism in West Africa and the Republic of Benin on 12 and 13 December 2018 in Cotonou, Benin. The forum brought together members of the diplomatic missions in Benin, development cooperation agencies, civil society actors and Cotonou-based journalists, and other regional and international actors.